I played through these five albums countless times in 2016, far more than any other new albums. 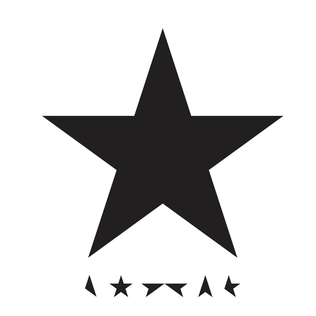 Any best of list for 2016 that doesn’t have ★ on it is just wrong. Good Morning, Midnight (2016) by Lily Brooks-Dalton. Like Alfonso Cuarón’s film, Gravity (2013), everything in Good Morning, Midnight is anchored in the technical reality of the early 21st century — not quite what is usually meant by SciFi. A novel, with dreams and mysteries, and no speculative science indistinguishable from magic, it tells two stories in parallel. Both stories hinge on severely isolated settings as an inexplicable silence falls on the rest of humanity. One happens on Ellesmere Island, Nunavut, at an Arctic latitude of 80° or so, so the winter is one long night while the summer is an equally long day. The other story wanders through the solar system from Jupiter back to Earth aboard a vessel, with a crew of six sent to explore the Galilean moons, designed to dock with the ISS and serve as a permanent module in Earth orbit upon its return. The characters’ interactions with one another and their challenging situations are vividly, chillingly painted. Death’s End (2016) by Cixin Liu. Part 3 of Cixin’s Remembrance of Earth’s Past series. Unlike Good Morning, Midnight, this is SciFi in high gear. Sicario (2015) directed by Denis Villeneuve, written by Taylor Sheridan. This is a work of fiction, in which any resemblance to reality is a coincidence, yes? Anyone one who believes a wall can solve problems related to criminal immigration ought to see this. It was released in 2015, but I didn’t see it until the end of its run in January 2016, and I have gone back to it several times via Amazon Prime. I don’t think you can go too wrong with any of Villeneuve’s work, and many of us are looking forward to his Blade Runner 2049, set for release in October 2017.